It's widely understood that police departments have a tremendous responsibility to protect and serve their communities, whether at the local, state, or even federal level. Those same departments also have an obligation to be fiscally responsible with the taxpayer dollars they spend while protecting and serving. Thus, the importance of performance measures, both for individual officers and entire agencies, is easy to see. Historically, these measurements have come in the form of easy-to-track metrics, such as the number of arrests an officer made, calls the officer responded to, and reports taken. Enforcement activities—arrests, warnings, and the like—often receive particularly close attention. For departments, crime rates tend to be the go-to metric to determine effectiveness, despite the fact that issues well outside of a police agency's control can have a tremendous impact on crime in a given community. 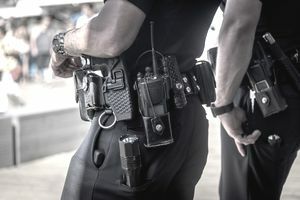 For many departments' cultures, the caricature of a good officer is one who responds to and clears calls quickly, engages in proactive enforcement activities, and produces high enforcement numbers. In short, officers who are fast, efficient, and productive are largely considered to be the top performers. What often gets lost in the metrics, though, is how effective an individual officer or department actually is. It must be said here that quota systems, in which officers must make a certain number of arrests or write X number of traffic tickets, are more or less nonexistent and often illegal, contrary to popular belief. Nonetheless, while departments focus on productivity (quality) while ignoring effectiveness (quality), it's easy to understand how officers and administrators alike can misunderstand the message and get off track by focusing on numbers over people. An ever-changing social climate is making it more and more apparent that, while enforcement efforts are an effective tool in reducing crime and promoting safety, it is but one tool in the toolbox. What truly makes a good officer in the eyes of the public is not one who writes a lot of tickets or puts a lot of people in jail, but one who appreciates and understands the community-oriented policing concept. These officers are more than just enforcement agents, but educators and problem solvers who have a high level of emotional intelligence and the soft skills needed to make a real difference in their day-to-day interactions on and off the job. Enforcement and crime numbers must continue to be considered when measuring performance. However, these numbers will only paint part of the picture. If crime goes down, for example, it is conceivable that enforcement, too, would decrease since ostensibly fewer people are committing crimes. At the same time, it is reasonable to see that an initial rise in a crime rate could actually indicate police effectiveness in gaining the public trust, as members of the community may feel more comfortable reporting previously unreported or under-reported crimes. Service-oriented metrics, such as assistance rendered, safety and education talks, neighborhood and business checks, and other community-oriented activities, can be included and encouraged in performance measures. Not only can these measures help provide a clearer picture of what the real mission of policing is—or could be—but they also encourage greater community engagement to help bridge the all-too-apparent gap between cops and communities. Nearly every officer on the road has heard the familiar phrase "I pay your salary" from a citizen they've stopped or detained. While that statement definitely won't get someone out of a speeding ticket, what if there is more to what that otherwise law-abiding citizen is trying to say? Is it possible that behind that statement is the notion that maybe the police aren't providing the kind of service that the public needs or wants? The numbers game will always be one important measure of police performance, but officers would do well to remember the reasons they became police officers to begin with, and that they are here to serve the people, not make widgets. How Might Your Career Progress as a Police Officer? How Does the Federal Government's Pay Scale Work?